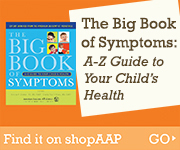 Croup is a co​mmon illness in young children. It can be scary for parents as well as children. Read on for more information from the American Academy of Pediatrics about croup, including types, causes, symptoms, and treatments. This is the most common type of croup. It is caused by a viral infection of the voice box and windpipe. It often starts out just like a cold, but then it slowly turns into a barky cough. Your child's voice will become hoarse and her breathing will get noisier. She may make a coarse musical sound each time she breathes in, called stridor. Most children with viral croup have a low fever, but some have temperatures up to 104°F (40°C). This type of croup is thought to be caused by an allergy or by reflux from the stomach. It can be scary because it comes on suddenly, often in the middle of the night. Your child may go to bed well and wake up in a few hours, gasping for breath. She will be hoarse and have stridor when she breathes in. She may also have a barky cough. Most children with spasmodic croup do not have a fever. This type of croup can recur. It is similar to asthma and often responds to allergy or reflux medicines. If your child wakes up in the middle of the night with croup, try to keep him calm. Keeping him calm may help him breathe better. Offering reassuring words such as, "Mommy's here, you will be OK"
Treat it with acetaminophen or ibuprofen (for children older than 6 months), as needed. Make sure he is drinking fluids to avoid dehydration. If your child has viral croup, your child's doctor or the emergency department doctor may give your child a breathing treatment with epinephrine (adrenaline) to decrease the swelling. After epinephrine is given, your child should be observed for 3 to 4 hours to confirm that croup symptoms do not return. A steroid medicine may also be prescribed to reduce the swelling. Steroids can be inhaled, taken by mouth, or given by injection. Treatment with a few doses of steroids should do no harm. Steroids may decrease the intensity of symptoms, the need for other medications, and time spent in the hospital and emergency department. For spasmodic croup, your child's doctor may recommend allergy or reflux medicines to help your child's breathing. Acute supraglottitis usually affects children 2 to 5 years of age and comes on suddenly with a high fever. Your child may seem very sick. He may have a muffled voice and prefer to sit upright with his neck extended and face tilted upward in a "sniffing" position to make his breathing easier. He also may drool because he cannot swallow the saliva in his mouth. If not treated, this disease could rapidly lead to complete blockage of your child's airway. Your child must go to the hospital right away. If he has supraglottitis, he will need antibiotics, and he may also need a tube in his windpipe to help him breathe. Call your child's doctor right away if you think your child may have supraglottitis. Your child should get the first dose of the Hib vaccine when he is 2 months of age. This vaccine will also protect against meningitis (a swelling in the covering of the brain). Since the Hib vaccine has been available, the number of cases of acute supraglottitis and meningitis has dramatically decreased. When croup persists or recurs frequently, it may be a sign that your child has some narrowing of the airway that is not related to an infection. 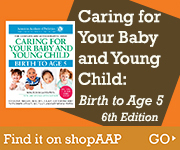 This may be a problem that was present when your child was born or one that developed later. If your child has persistent or recurrent croup, your child's doctor may refer you to a specialist such as an otolaryngologist (ear, nose, and throat specialist) or pulmonologist (breathing and lung disease specialist) for further evaluation.